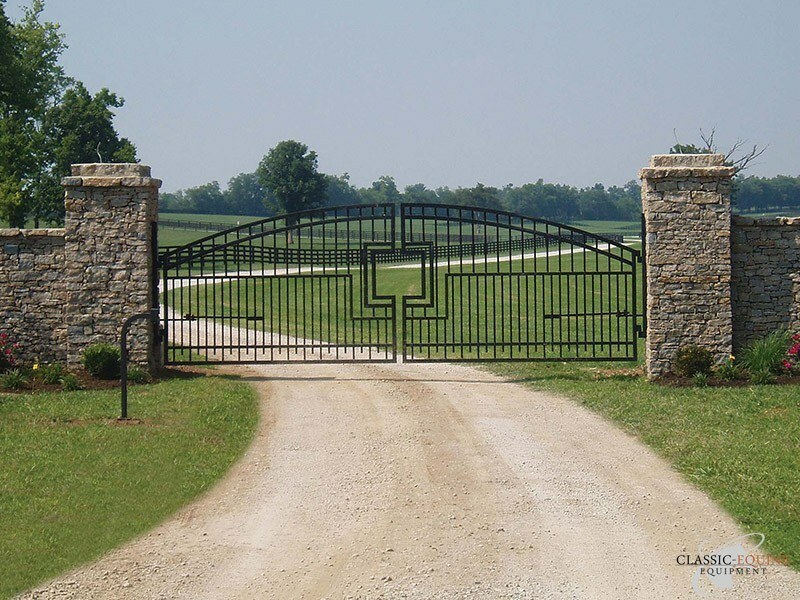 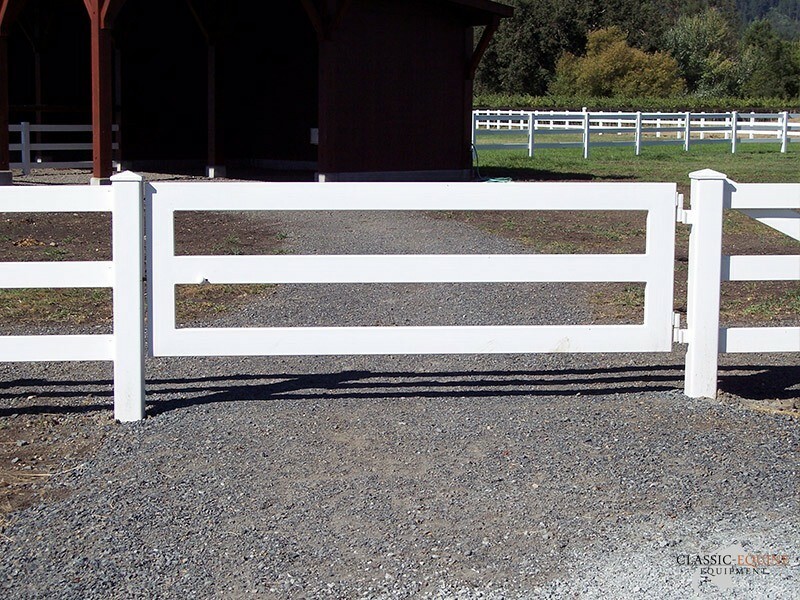 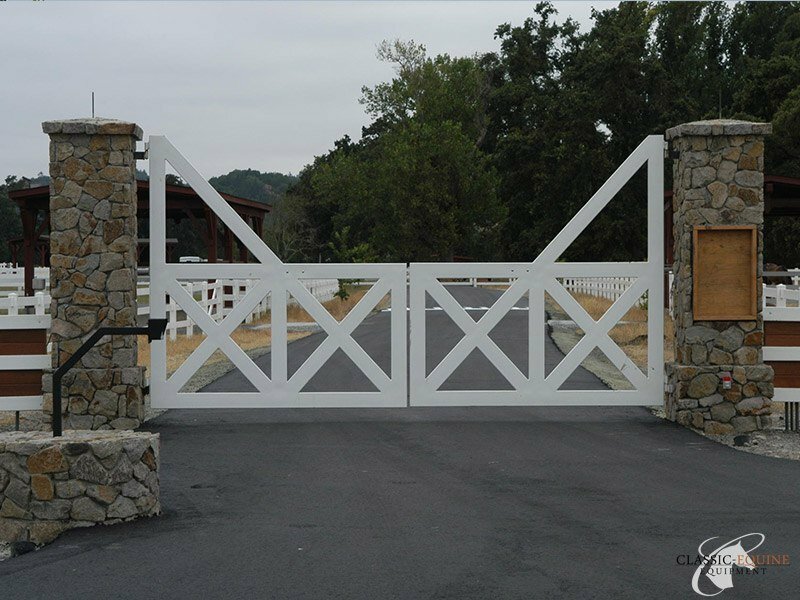 Classic Equine Equipment designs and manufactures Custom Entrance Gates to fit all spaces and requirements – whether farm, residential or commercial. 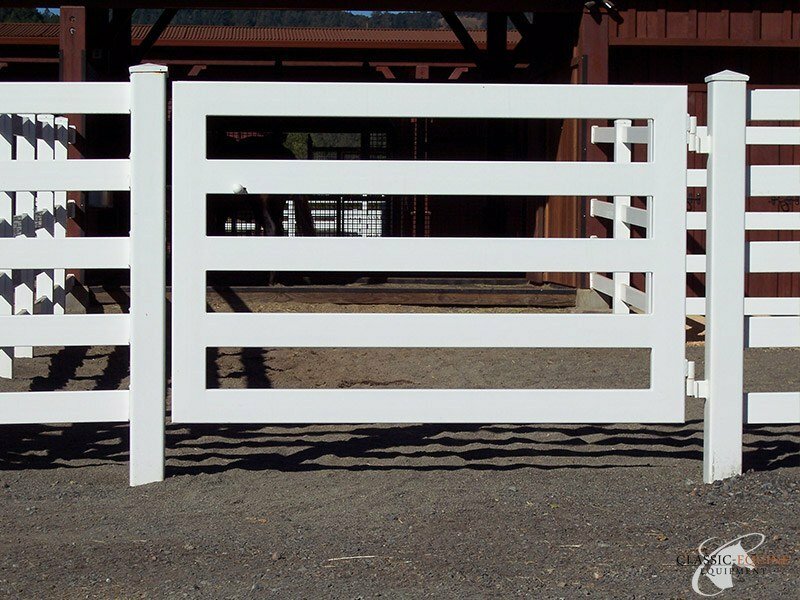 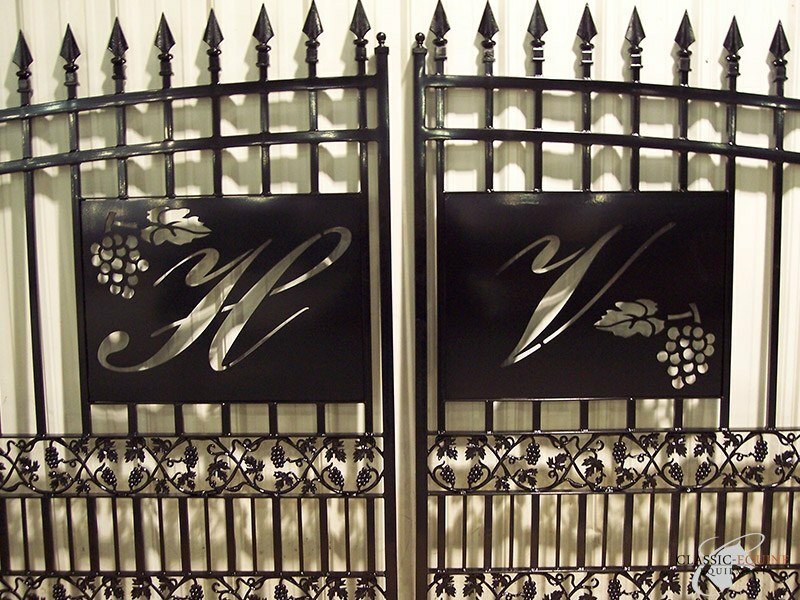 All gates are made with the same high quality steel and attention to detail as our horse stalls. 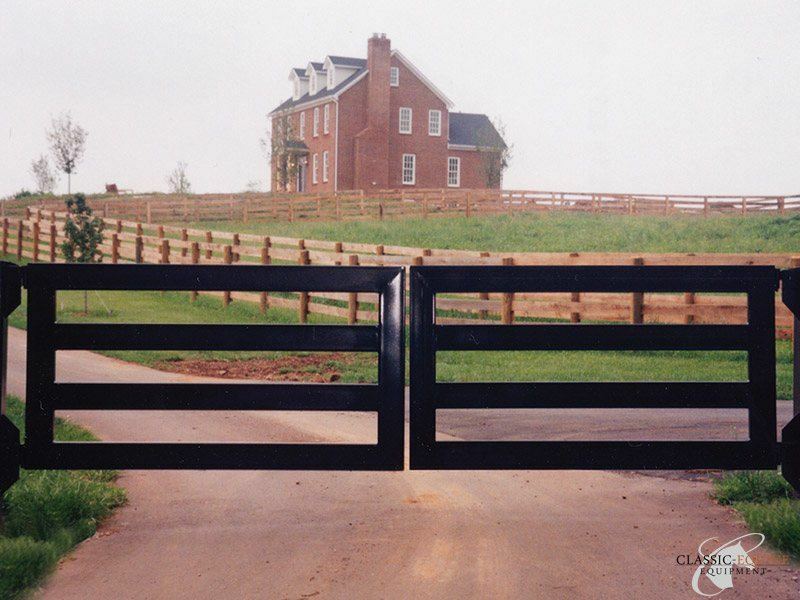 We can provide automatic gate openers as well for a complete entrance system.